AUTHORIZED DISTRIBUTOR FOR STUCCHI ITALY IN INDIA. 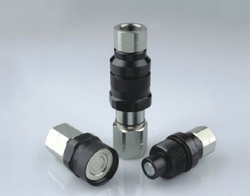 Hydraulic QRC (Quick Release Couplings). Carbon Steel Screw Type Hydraulic QRC, Size: 1/4 Inch-3/8"
कार्बन स्टील स्क्रू टाइप हाइड्रॉलिक क्यूआरसी, साइज़: 1/4 Inch-3/8"
– Fluid type : Air, Water. Gasoline, Oil, Steam. 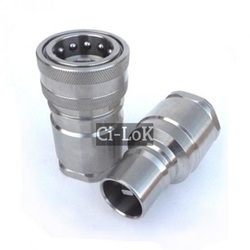 We a well-known manufacturer in the domain, engaged in offering excellent quality Quick Release Coupling. This coupling is extensively used in industrial machines. We have gained a remarkable position in the market that is involved in offering Hydraulic QRC.